The emergence of a new car is usually followed by several support accessories that are sold separately. This is normal, because usually these accessories can support the look of the car, to look a little 'different', although basically the konsumes, who they are, can also buy the same accessories that we buy.This is normal, because usually these accessories can support the look of the car, to look a little 'different', although basically the consumers, who they are, can also buy the same accessories that we buy. Well, talking accessories, as we know, Toyota C-HR is being prepared for the Thai market, even it's just a matter of time for release only. 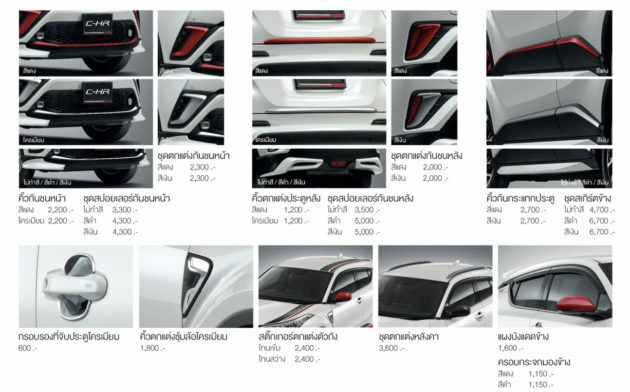 And like most new cars, Toyota C-HR in Thailand will also carry some OEM accessories provided exclusively by Toyota. Well, what does it look like? Like the picture we attached. In general, the look of the Toyota C-HR is full of these accessories feels quite exterior overkill, the impression is so crowded especially for alloy wheels and additional patches on the fenders. 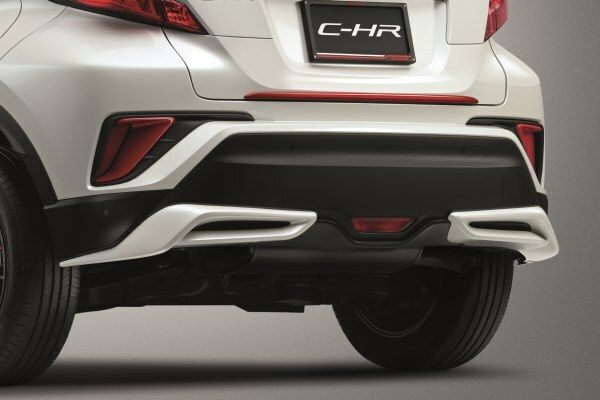 But can not be fooled, in addition to two aspects of it, the installation of OEM accessories to Toyota C-HR this fall even make this car cool. Yep, a blend of white, black and red seems to fit for a crossover of Toyota C-HR. Let's examine one by one what accessories are visible in this photo. First, there is a sticker on top of his bonnet, followed by a red front bumper red, and a garnish under the corner sensor which is also whitewashed red. Moved to the side, we saw a red-covered rearview mirror and side body molding which also has a similar color accent looks okay, it's just red - red in Velg? Big No. Well, if the business appear behind, it seems to be debatable. The rear side still continues the red accent d luggage lips and around the rear reflector, but the shape of the new rear bumper seems to be someone who likes, or even hate it. 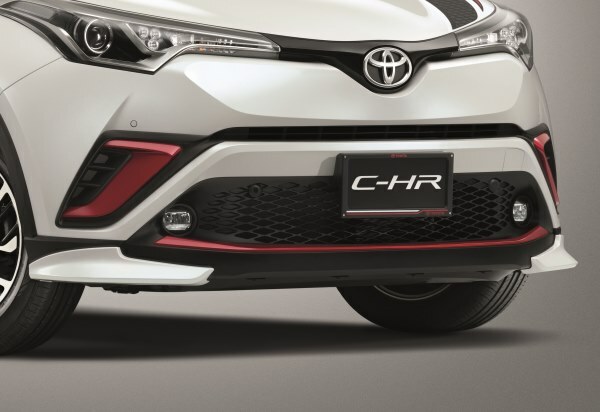 Oiya, if you are observant, cover number plate from Toyota C-HR is also OEM accessories you know, there is red - red too. Well, the red color that dominates the accessories component is not the only option, because there is a silver color scheme for certain accessories such as wheels, garnish on the front bumper, and on the side body molding. Okay, we get to the inside. 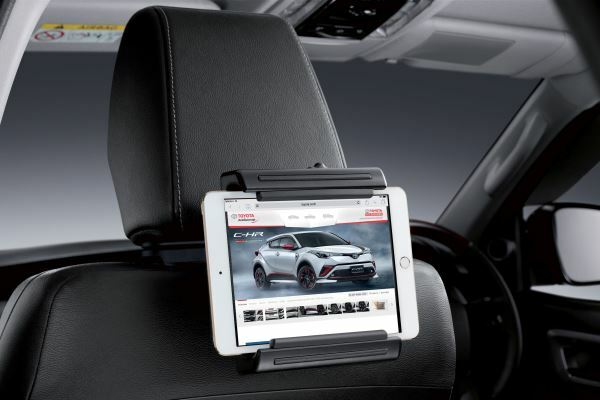 In the interior, Toyota C-HR will get some accessories, such as leather upholstery option, child seat complete with holder, mini fridge, basic carpet, additional compartments such as box, dashcam, a number of cargo net, LED lights for interior, the unthinkable thing such as mounting tablet for second row, pillow, and also tissue box, but OEM. 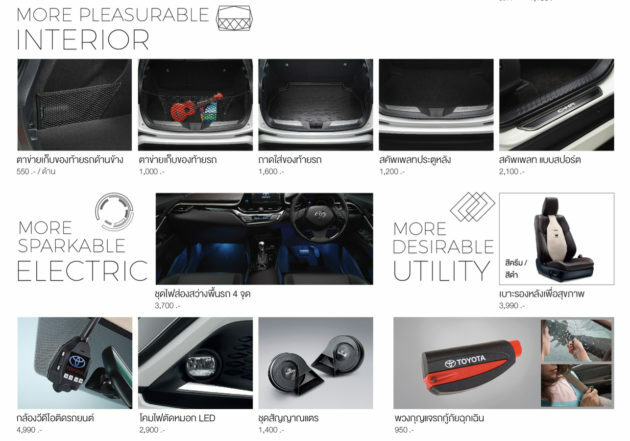 In general, consumers of Toyota C-HR Thailand can choose to add what accessories will be paired in the car. 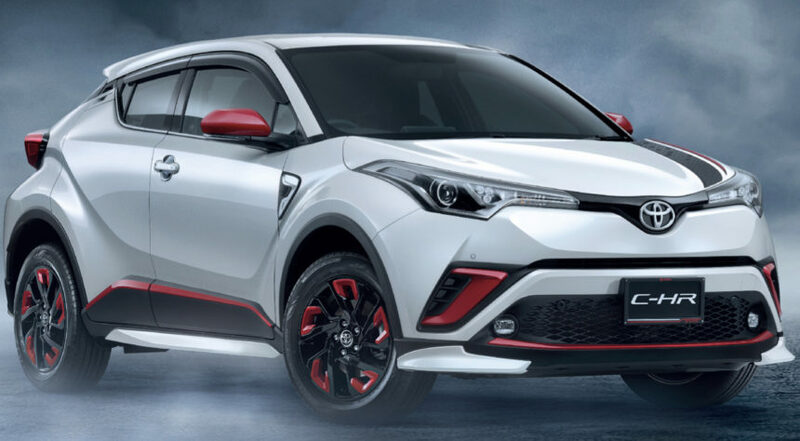 In fact, some components managed to boost the look of Toyota C-HR is in our opinion, but there are still some components that apparently do not need to be installed. 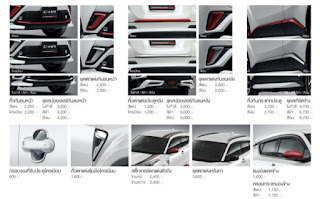 1 Response to "This is the figure of Toyota C-HR Thailand Full Accessories"